BAL says its new max-flex fibre is the first powder adhesive based on Fibre Strand Technology (FST), giving it more polymer action and offering a high degree of flexibility. Available in grey and white, it can reportedly be used to fix anything from large format porcelain to glass mosaics. It is designed for use on any background from an overlaid timber floor with underfloor heating in a domestic bathroom to heavy-traffic supermarket flooring. The product is claimed to offer greater strength, better grab and an extremely smooth mix for easy application. Having a lengthy working time is said to enable the mixing of larger volumes, which allows large areas to be tiled faster, with less time spent mixing. BAL White Star plus is described the first ready-mix adhesive based on FST, which reportedly gives more polymer action with less water. That is said to mean easier application and better non-slip performance, but with greatly improved grab and greater adhesive strength. While being easier to trowel and apply, smoother, more consistent and lighter, BAL White Star plus is also described as being brilliantly whiter, offering extended open time and due to faster water loss is suitable for some porcelain tiles on porous substrates. Alex Underwood, BAL brand manager, explains. ‘Our research scientists exhaustively analysed the use of certain microfibres and high-quality fillers in adhesives. Lengthy trials were conducted with the help of professional tilers across the UK. Max-Flex Fibre is available in 20kg, 10kg and 5kg bags in white and 20kg bags in grey, while White Star plus comes in 2.5, 5 and 10 litre tubs. Both products are available from authorised stockists nationwide and, as with all BAL products, carry a full 25-year guarantee. Bona has launched Bona R200, a single component, PU based repair liquid, developed to fill hollow spots and re-attach loose parquet pieces or boards. The product is designed to be injected in its liquid form through a drilled hole into the hollow spot. The liquid then reportedly reacts with low levels of moisture and foams up to completely fill the void before solidifying and creating a firm surface once again. Bostik reports that its new Laybond adhesives were used during the refurbishment of the Leeds head office of flooring distributor Mercado. The 200sq m project involved laying new flooring throughout high traffic areas including reception, corridors and offices. The adhesives selected had to offer excellent durability and product quality to withstand everyday wear and tear. Mercado selected Bostik Laybond Pressure Sensitive, Laybond Vinyl and Laybond Carpet Tile Tackifier for the various floor finishings. This product is a water-based solvent-free acrylic dispersion adhesive, developed to give a high bond strength combined with excellent tack and open time. Laybond Vinyl is an acrylic dispersion adhesive formulated to produce a high degree of tack in dry film and to minimise the effects of plasticiser migration. The Carpet Tile Tackifier is a solvent-free non staining polymer dispersion adhesive designed to give a permanently tacky film when dry. F Ball and Co says its Recommended Adhesives Guide (RAG) gives clear guidance on how to get it right first time. The 2014 version of RAG will be available during January, featuring over 5,500 up-to-date adhesive recommendations for floorcoverings endorsed by over 200 leading international manufacturers. The RAG is available as a free printed A5 book (see below), an interactive, searchable version on the website (www.f-ball.co.uk/rag.asp) and as a free app for smart phone and tablet devices via the Apple and Google app stores. The printed edition is released annually and the digital editions are regularly updated, to give contractors access to the latest guidance on adhesive compatibility with particular floorcoverings. F Ball’s Styccobond F3 celebrates its 50th birthday in 2014. Technologically enhanced over the years, the product is reportedly widely chosen by flooring contractors for installing textile floorcoverings. 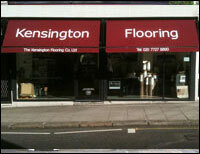 It is also compatible with around 70% of RAG-listed floorcoverings. Kerakoll UK has a comprehensive range of high performance flooring adhesives for wood, laminate, vinyl, textile and ceramic, all developed to be as friendly to the environment and human health as possible. The Slc range for hardwood flooring comprises seven adhesives with different characteristics for different situations including heated and flexible substrates. The range for resilient materials comprises 11 adhesives for use with PVC, rubber, vinyl, carpeting and linoleum in a variety of substrates. It includes Slc Eco PU 70 and SP70 both reportedly suitable for laying artificial turf on outside pitches and three variations of Slc Eco S45 for creating coving sections when laying between walls and floors and on stairs and corners. H40 Eco adhesives include nine products, all formulated to perform to an extremely high standard in different situations. H40 Eco Rapid does not sacrifice workability even though it is designed for a quick turn-around; H40 Eco Flex is for use on substrates prone to movement, and H40 Eco Rapidflex combines both these two qualities in what is reportedly the first single-component, cement based product to be classified as P2 under ISO EN 13007-2. All white adhesives in the range incorporate recycled Carrara to create a pure white colour and smooth spreading texture, making H40 Eco Marmorex and H40 Eco Ideal suitable for use with delicate marbles and other natural stone. Mapei says its ready-to-use Ultrabond P980 1K adhesive provides fast, safe bonding of all pre-finished multi-layered and engineered wood floors. Described as odourless and free of solvents, amines and epoxy resin, the one-component adhesive is said to be suitable for bonding onto most types of substrates, including heated surfaces. It reportedly also offers safe application for installers with epoxy polyurethane-related allergies. The product is designed to be used on cement; screeds made using Mapei’s Mapecem, Mapecem Pronto, Topcem, Topcem Pronto and similar products; existing timber substrates, tiles (ceramic, marble, terrazzo, etc.) and anhydrite screeds. The low viscosity formula developed by Mapei is said to offer excellent workability and straight-line hold, as well as a 20-30% higher yield than conventional two-component products. Osmo UK supplies Taylor Timberline MS Flexible wood flooring adhesive for installing wood flooring in either residential or commercial interiors. The solvent-free product is backed by Greenguard Indoor Air Quality Certification. It is a one-component 100% solids, cross linking, MS polymer-based adhesive formulated for installation of all types of wooden flooring, including wood block parquet, engineered wood plank, acrylic impregnated plank, bamboo and pre-finished and unfinished solid wood flooring. The product is also said to have good concrete moisture inhibition capability and good sound reduction properties. Solvent- and isocyanate-free, Timberline MS is said to have negligible VOC content, contain no hazardous chemicals as per OSHA Regulation CFR 1910.1200 and is a non-flammable, low odour adhesive that meets all relevant indoor air quality regulations. It is also said to have good early strength build-up for immediate grab and quickly builds into a tenacious but elastic resilient bond as the adhesive cross-links. Timberline MS also reportedly features Meta-Tec Adhesive Technology, which utilises ‘cross-linking’ chemistry to create a permanent bond that when fully cured, is waterproof and extremely strong. Sika reports its SikaBond 52 solvent-free wood floor elastic adhesive featured on the home renovation show Grand Designs being used in a 3,700sq ft house, which includes a lower floor that has been sunk 19ft into the ground and a ground floor made almost completely of glass. The project was required to incorporate environmentally friendly products. Burano grey oiled and brushed Oak wooden flooring from Source Wood Floors was chosen for the bedrooms and staircase. ‘The floors could have been floated, but as a specialist distributor of Sika flooring materials for many years, we understand the merits of SikaBond wood floor adhesives. One of the elements of SikaBond 52 is that it reportedly reduces footfall noise, dampening sound especially when used in conjunction with Sika’s AcouBond noise reducing system. Applied by gun or dispenser, the adhesive is reported to have excellent workability and possess fast curing properties for projects where time is a serious constraint. 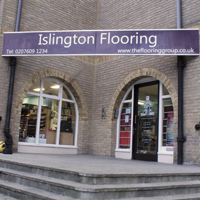 T&R Floor Covering Distributors has introduced new Uzin products to its adhesives and screeds range. They include heavy-duty smoothing compound Uzin NC160, as well as Uzin’s high-quality adhesives. All products are available from extensive T&R stock, for standard two-day delivery or next day, by request. There is also a comprehensive trade counter at T&R’s Nottingham warehouse, along with expert advice from the experienced team. Tremco Illbruck says its latest adhesive SF520, previously sold under the Treadfast brand, is an advanced polymer adhesive developed for surface bonding of almost any type of timber flooring; including natural wood boards and composite systems. SF520 can reportedly be used in conjunction with ES600 moisture vapour suppressant as both products are EC1 compliant and have been tested to BREEAM standards. SF520 is designed for use over most common substrates, including sand/cement screeds, concrete, calcium sulphate screeds, stone, metal, timber and epoxy membranes. 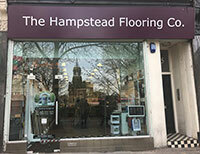 It is also said to be compatible with most underfloor heating systems. This single-component, solvent-free adhesive is said to provide an open time of around 20 minutes under normal ambient conditions and is claimed to remain flexible and strong throughout the installation’s life. It is available in 10 litre plastic buckets (containing 17kg of material) or 5kg foil pouches packed in boxes of 3 x 5kg. Ultra Tile Level IT one HDB, ProRapid RS and FlexJoint products were used to refurbish a 350sq m office block reception in Manchester. 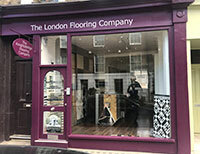 Tile Style was commissioned to install 600 x 600 grey floor tiles in the area. The project was completed in six weeks and included subfloor preparation. ProRapid RS is a multi-purpose, trade-designed tile adhesive offering high-strength, rapid set, flexible characteristics. It can reportedly be used to fix ceramic, mosaic and natural stone tiles to solid substrates and is available in 20kg bags. The floor was grouted using FlexJoint in grey flexi grout, which is super fine in texture, polymer modified, mould resistant and water repellent. Ultra Tile range of adhesives and grouts were also used by Gardners in it recently refitted showroom for kitchen and bathroom pods, showcasing the latest fixtures, fittings, colours and designs. 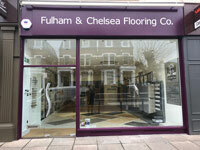 The showroom, floors were all prepared before tiling with levelling compound, Level IT one HDB. Where necessary floors and walls were then sealed and primed with Prime IT FP.